Days 4-12 -- The 12 Days of Holiday Fitness Gifts - Lean It UP! Today I’m bringing you an uncharacteristically early Christmas gift (well, it’s my way of making up for my slackage)…a 9-for-1 holiday fitness gift guide extravaganza. As Emeril once said…BAM!! 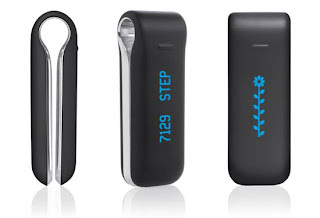 The FitBit Ultra provides an original—and quite frankly refreshing—new way to track activity levels. Forget watches and chest straps…the nifty little device discreetly clips to your waistband, belt, pocket, etc. 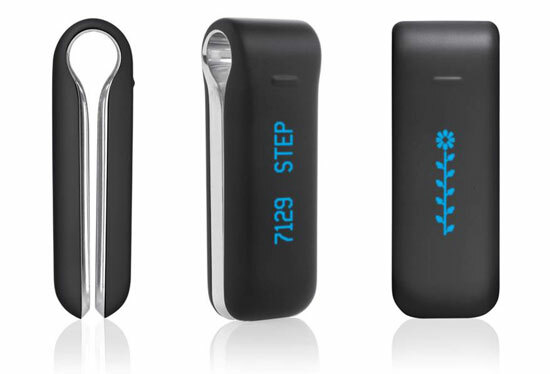 and is capable of accurately tracking # of steps, calories burned, stairs climbed, distance traveled, and exercise intensity. What’s better? The FitBit also tracks your sleep patterns. Wear it at night and it’ll accurately shoot out a “sleep efficiency index,” which basically provides a sleep score based on the time in which you fell asleep, snooze duration, and how many times you woke up. Additionally, all exercise & sleep data is automatically, wirelessly uploaded to FitBit.com for easy visualization, tracking, and monitoring. When it comes to fitness-y earbuds two things reign paramount to all else: comfortable, secure fit and bone-rattling bass. 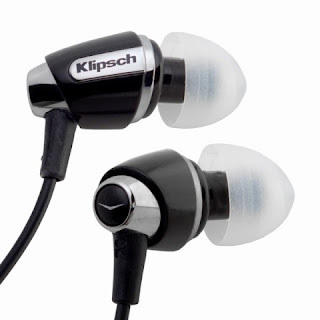 For mid-range earbuds, the Klipsch S4 Earbuds deliver both to an unparalleled degree. I’ve used these for 3 months now and I’m absolutely obsessed. Moving over from dark side that was Beats Audio, I can tell you that the Klipsch earbuds deliver superior comfort/fit and bass that’s just as deep—all for approximately half of the price. The Klipsch S4’s are available in two sleek color options—black and white—and come pre-packaged with 3 different earbud sizes. Kettlebells are all the rage at the moment, and for good reason—it’s scary how effective these things are when it comes to incinerating fat. Demonbells are literally scary. And also extremely badass. If you’re looking for something truly unique and awesome this holiday season, Demonbells might be your best bet. Don’t caught up in the satanic detailing—these things deliver incredible results. 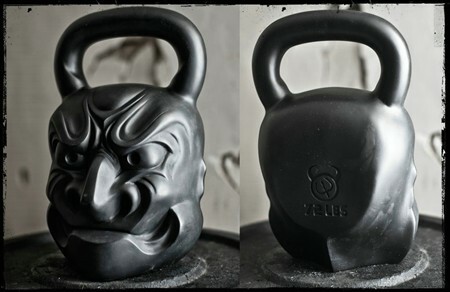 Demonbells come in 4 weights—20 lbs, 35 lbs, 54 lbs, and 72 lbs—and are available at http://www.demonbells.com/ for $79.99/$119.99/$149.99/$199.99 respectively. 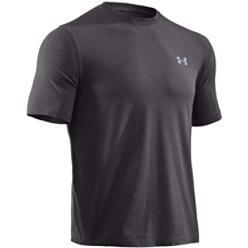 I’ll admit that shirts may not be the most exciting gift, but dayyyyyyyyyum…Under Armour’s Charged Cotton collection of workout t-shirts/long-sleeve shirts/sleeveless shirts are unbelievable. To start, to say these things are comfortable would be an understatement…I’d bath in their Charged Cotton-y goodness if that was a possibility. In terms of performance, Charged Cotton’s 4-way stretch construction provides the perfect amount of stretch, flexibility, and mobility. I also really appreciate that these shirts come in over 15 solid colors. Not only are they phenomenal for workouts, but they also work really well as loungey, casual shirts and undershirts. Barefoot, or minimalist running, has been one of the hottest fitness trends of 2011. Running barefoot encourages something know as a forefoot strike, which means that the runner makes contact with the ground using the balls/middle of their feet, as opposed to the heel. Although striking the ground with a different part of your foot might seem insignificant, the truth is that utilizing a forefoot strike significantly reduces the amount of force/stress on the lower leg, reduces long term injuries, improves circulation, and improves overall foot health. 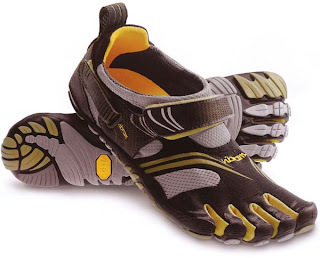 Vibram’s FiveFingers were one of the first commercially available “shoes” designed to mimic the effects of barefoot, minimalist running. Although these things look like some sort of wacky amphibious apparatus, they’re actually ridiculously effective once you’re able to get used to them. If Fruit Ninja has taught us anything, it’s that Ninja’s are really freaking good at finely slicing and dicing fruit, veggies, and other edible items. 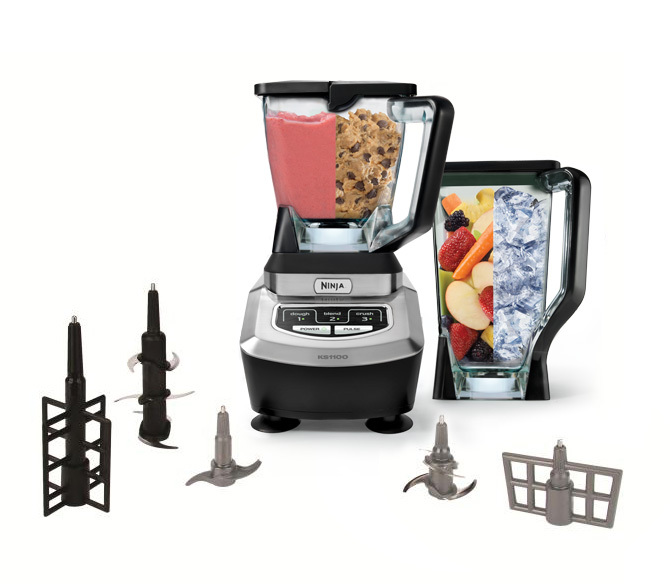 Transfer that idea over to the 1100-watt, quad blade Ninja Blender and you’re in protein shake/fruit smoothie heaven. I agree that spending over $100 on a blender seems ludacrous, but this is the Ninja Kitchen System…the king of blenders. I have this bad boy and let me tell you, it makes one incredible smoothie. I couldn’t imagine ever going back to a normal blender again. It would just be wrong…seriously, it’s that good. 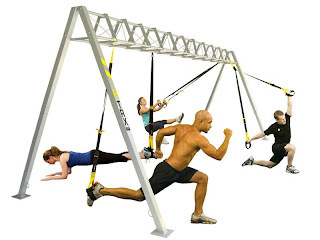 Built by Navy Seals, the TRX Suspension Training System is, in my opinion, one of the top in-home fitness programs currently available (up there with P90X2/P90X). Utilizing 100% body-weight and suspension bands, TRX presents a fantastic full-body alternative to traditional weight training. Literally…TRX hits everything. It absolutely blasts fat, thrashes muscle fibers, and quickly improves strength, endurance, and muscle size. I also find it to be really fun, challenging, and less monotonous than other in-home programs. Don’t laugh…sure it might look ridiculous, but this thing is extremely effective. 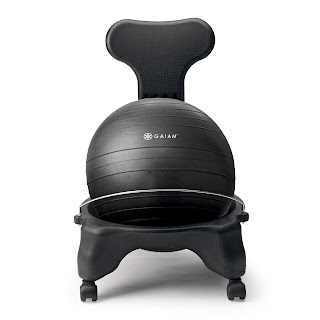 It helps improves posture, develops core strength, and even increases mental alertness while sitting for prolonged periods of time. You literally have to brace your abs, otherwise you’ll fall over. It’s the perfect gift for any semi-health conscious 9-to-5’er. 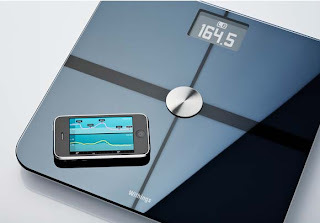 Once upon a time there was a company named Withings, which developed a magical scale that measured weight, body fat %, lean muscle mass, and BMI…AND it automatically uploaded every single weigh-in to your computer/iPhone App. That’s cool. That’s effective. That’s what I’d call effective progress tracking. The Withings WiFi body scale accommodates up to 8 users…invite your family, friends, or even your local YMCA!